Here are some of the days/weeks/months set aside for the various mental illnesses and/or mental health topics. Take some time to click on the source link to learn how you can help to raise awareness on the topic. If you own a social media site or write a blog, share information about the topic during that time period and encourage others to share it too. 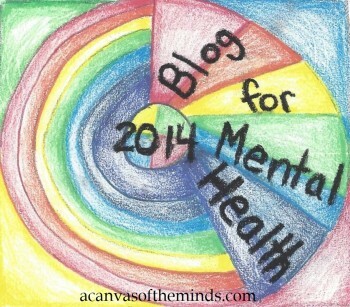 Let’s spread the word about the various mental illnesses together. This entry was posted in advocate, bipolar disorder, mental illness, personality disorder, Uncategorized and tagged adhd awareness month, bipolar disorder awareness day, borderline personality disorder awareness month, borderline personality disorder month, domestic violence awareness month, eating disorder month, hoarding day, mental health awareness month, mental illness awareness week, national anger awareness month, national autism awareness month, national bullying prevention month, national codependene awareness month, national eating disorder awareness week, national recovery month, national stress awareness month, national suicide prevention week, odd day, ptsd awareness day, ptsd month, schizophrenia awareness day, self injury awareness day, world bipolar day. Bookmark the permalink.